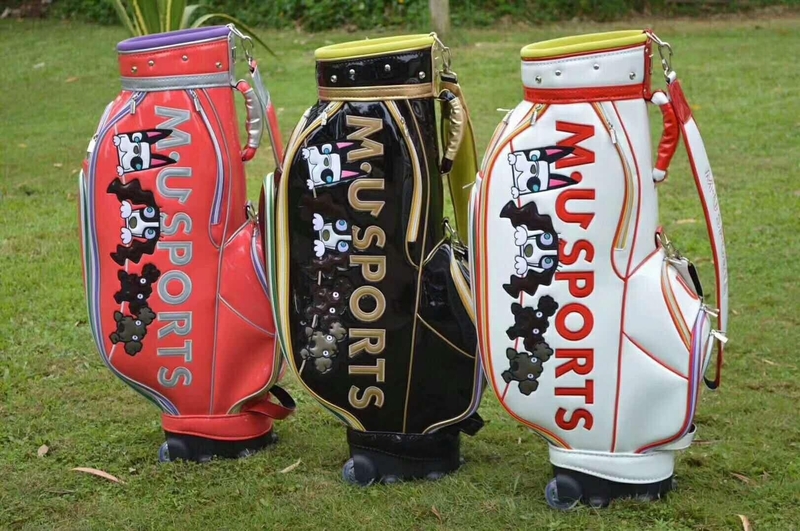 M U Sports Golf Caddy Bag Rolling Sole with the rain hood , 3 colors available. This is a trolley bag that uses wheels that clip into the base of the bag and a retractable pull handle.Has a Bag For the Wheels if you take them off You simply pull it and when you want to stand it up you push it the other way and the legs unfold! Superb. Any question or any stuff in need , please contact me.